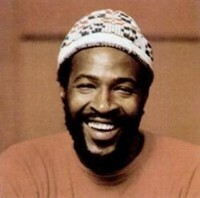 Marvin Gaye (1939 – 1984) was an American singer-songwriter and musician.Gaye helped to shape the sound of Motown Records in the 1960s with a string of hits, including "How Sweet It Is (To Be Loved By You)" and "I Heard It Through the Grapevine", and duet recordings with Mary Wells and Tammi Terrell, later earning the titles "Prince of Motown" and "Prince of Soul". 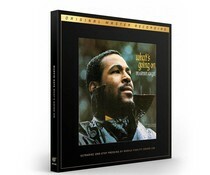 During the 1970s, he recorded the concept albums What's Going On and Let's Get It On and became one of the first artists in Motown to break away from the reins of its production company. Gaye's later recordings influenced several R&B subgenres, such as quiet storm and neo-soul. 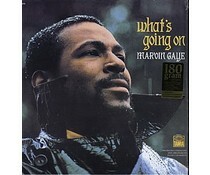 Following a period in Europe as a tax exile in the early 1980s, Gaye released the 1982 Grammy Award-winning hit "Sexual Healing" and the Midnight Love album. He was fatally shot by his father, Marvin Gay, Sr. on April 1, 1984 at their house at 2101 South Gramercy Place in Western Heights in the West Adams district of Los Angeles. Since his death, Gaye has been posthumously honored by many institutions, including the Grammy Lifetime Achievement Award and the Rock and Roll Hall of Fame.